Ultimate Yachts is passionate about exploring the world’s most compelling coastlines and extraordinary islands. Our handpicked collection of luxury private charter yachts offers an unparalleled means of exploring the globe from the comfort of unique accommodation with an experiential edge, paired with skilled crews, exceptional chefs, and knowledgeable guides. Our founder Eddie is passionate about the ocean and has an extensive understanding of the yachting industry; from the intricacies of assembling the ideal crew to routes that truly enable intrepid travellers to explore beyond the shoreline. 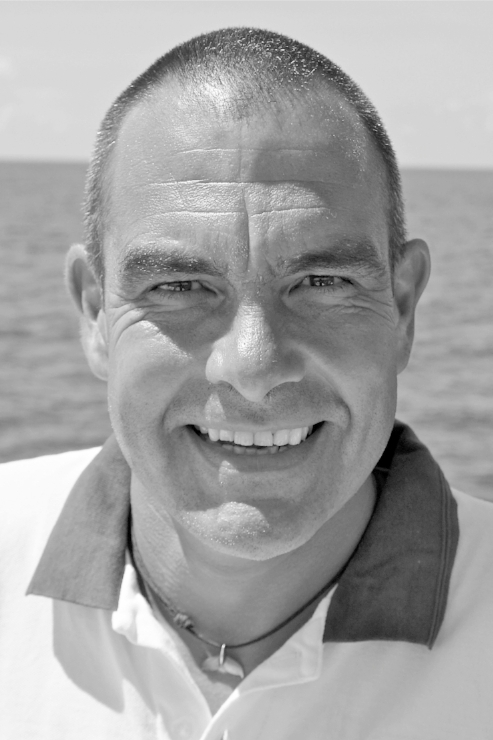 Born and raised near River Hamble, the heart of yachting country in the UK, Eddie worked as a diving instructor in the Maldives ahead of spending several years exploring remote islands on dive liveaboards as a cruise director in Indonesia. Before swapping city life for the water, Eddie co-owned a successful recruitment and head hunting firm in London, following ten years serving in the British Royal Navy. Outside of diving, he has a growing passion for photography and also enjoys cycling - in 2011 he completed the Deloitte John O’Groats to Lands End cycle ride, 953 miles in 9 days. Based in the UK but frequently found globe-trotting, Annie is our marketing director and focuses on developing new partnerships, routes and itineraries, as well as regularly assisting with charter bookings. With experience at a number of London’s leading lifestyle PR agencies, Annie has specialised in luxury travel for over a decade, and her former clients range from top end tour operators to boutique hotels and private islands. Annie has lived in Australia, Italy and France, where she spent time working as a stewardess onboard a motor yacht cruising the Mediterranean. Annie is also a freelance journalist and writes features for newspapers and magazines in the UK and internationally. Alex was born in Crimea, on the northern coast of the Black Sea, and growing up by the sea cultivated his deep routed passion for boats and the ocean. Having worked extensively for international yacht brokers in Moscow, Alex brings a wealth of knowledge from the international charter market to the table and speaks both Russian - his mother tongue - and fluent English. Alex focuses on assisting our Russian clients, and outside of the yachting world, Alex loves spending time with his family, travelling, snowboarding and surfing. Yoann is our Burma specialist, and his expertise extends throughout South East Asia. Born and raised in Provence, Martin started cruising the Mediterranean at a young age before taking part in a number of regattas and eventually working as a yacht broker in Marseille. His life-long passion for the sea and travelling brought him to SE Asia in 2012 where he managed a classic yacht for a few years, including sales and operations. He speaks French - his native tongue - and is fluent in English. Martin is based in North Borneo where he can take advantage of his love for the tropical outdoors from ridges to reefs. Emma supports our sales team and ensures clients are thoroughly looked after ahead of their trips. Emma previously worked for a top end tour operator and has a love of Indonesia, stemmed from many a visit while her father worked there. Based in the Cotswolds with two children, Emma enjoys country living and a more settled way of life after living abroad during her childhood. Rachel trained in Travel & Tourism and then worked in Partnership Marketing for many years supporting Lifestyle & Charity clients with fundraising campaigns. Rachel supports our sales team along with Emma. She has a passion for travel and the outdoor life, enjoying cycling and running in the Hampshire countryside where she lives.